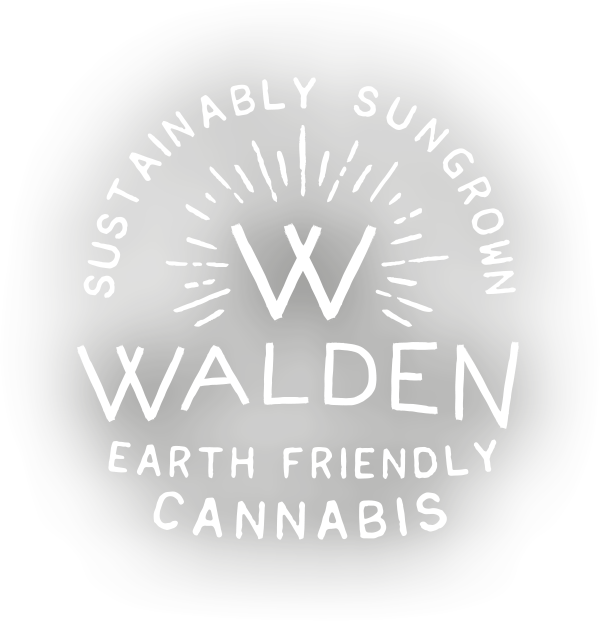 Walden Cannabis | Sustainably Sungrown, Earth Friendly Cannabis. Walden Cannabis grew from an eccentric group of climbers, backpackers, and yogis, who appreciated how well cannabis paired with nature. When complemented by a walk in the forest, a bonfire with friends, or a wild skinny-dip in the ocean, cannabis can deepen and enrich our connection with our planet, our brethren, and ourselves. A love of the outdoors is at the heart of our company, so when we founded Walden, we knew sungrown was our only option. We are working hard to motivate the rest of the cannabis industry to prioritize long-term sustainability over short-term profits, and we will continue to invest in ecologically responsible agricultural and processing practices; because for us at Walden, a love of our planet demands that we participate in the fight to save it. We invite our consumers to join us in enjoying the outdoors with quality bud, and a clean conscience. Pesticides can concentrate in cannabis extracts in unsafe levels, which is why we avoid them at all costs. The health of our community, our consumers, and our soil is more important than a little extra profit, so if a plant needs harmful pesticides to survive, then it’s not worth saving. Indoor cannabis is ecologically disastrous. The lights required to produce one kilogram of indoor marijuana release a carbon footprint equivalent to driving across the country seven times. Sun grown cannabis is healthier for you and the Earth. Climate models predict that drought will be a long-term problem in the Western United States. By using drip tape, micro-emitters and certified organic mulch we will reduce evaporation and do our part to leave plenty of water for salmon and the rest of the living community. Running out of dry space? We offer growers a state-of-the-art temperature and humidity controlled facility to dry and cure plants. Our meticulous and experienced trim staff can transform your product and get it ready for retail sale. With a 3,200 square foot packaging facility and a rockstar team to go with it, we can take the stress out of packaging and sales for you. We deliver and pick up product anywhere in the state of Washington. Contact us to see when we will be in your area next! If you are struggling to analyze your costs, we have talented analysts that would be happy to help you optimize your operation. We offer a wide array of consulting services related to cannabis production and processing. Inquire today to see how we can help you. I am at least 21.